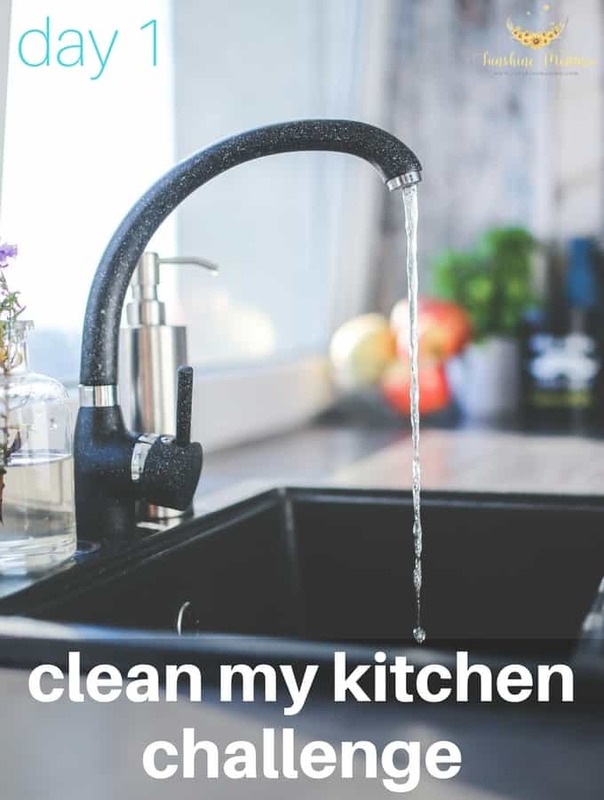 This clean my kitchen challenge originally just started out as a list for me. I am a huge list weirdo and make lists for everything just because I want to cross things off with my pink highlighter. It makes me feel like I have really had a full day when everything on my planner is highlighted in pink (haha!). But you know what’s more fun than a list? So for the next three days I am challenging you to clean your kitchens with me and cross things off your to do list too! Day 1 is going to be solely dedicated to appliances. Empty out EVERYTHING. Remove all food from the fridge so that you can clean the inside. I usually don’t take out everything all at once, just shelf by shelf as I clean. Throw away any old or expired food. Take out the shelving and clean the inside of the refrigerator and then clean the shelves as well. Wipe down the outside of the fridge as well. For the oven use 1/2 cup of water and 1/4 cup of baking soda to make a paste. Use a sponge to scrub the oven with the paste. Rinse the paste with a clean rag or sponge and water. If you have a gas stove, remove the grates and soak them in soapy water. Scrub them if the residue doesn’t come off with just soaking. For a flat top stove you can usually scrape food off with a butter knife and then wipe it down with a rag and cleaner. Combine 1/2 a cup of vinegar and 1/2 cup of water and microwave it for about 2-3 minutes. Immediately after the timer goes off use a rag to wipe out the inside of the microwave and everything should come right off. Splash vinegar in the bottom of your dishwasher and run a light rinse or light wash cycle to disinfect. I get most of my cleaning supplies from a company called Grove Collaborative. They are eco friendly and very well priced! You can order a new shipment every month of whatever household items are needed and they will deliver it to your house. Click here or on the image below to get a FREE Mrs. Meyers hand soap (my favorite is the honeysuckle scent!) and $10 in Grove Collaborative credits!